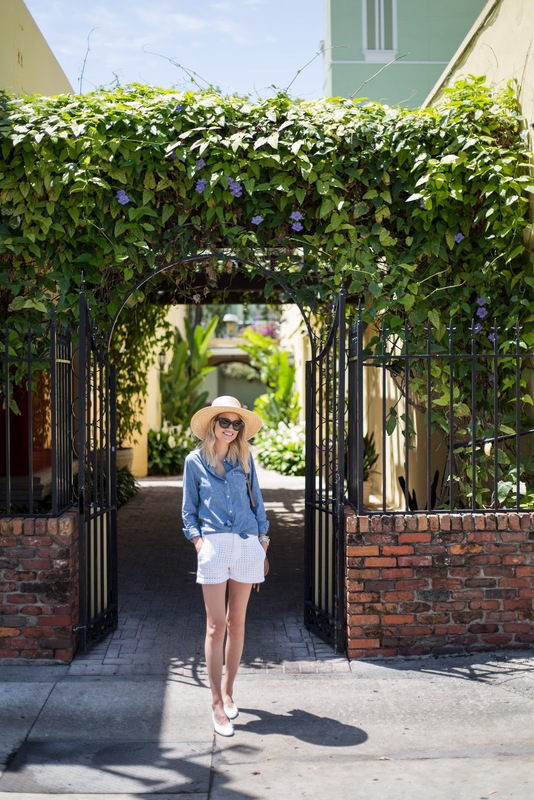 We spent the morning and early afternoon strolling Las Olas. One of our favorite spots here in Fort Lauderdale. It's so crazy how much has changed since we lived here years ago. First stop, the best gelato in town and then popping in and out of a few boutiques. Las Olas is a great place to spend a week day when it isn't busy. There are tons of amazing restaurants to grab a bite and relax. We didn't stop to eat this time. Kai was waking up towards the end of our walk, so we decided to head home. Shorts are an obvious choice when trying to beat the heat, but my goodness I can't even complain about the weather right now. Spring in South Florida is drool worthy! 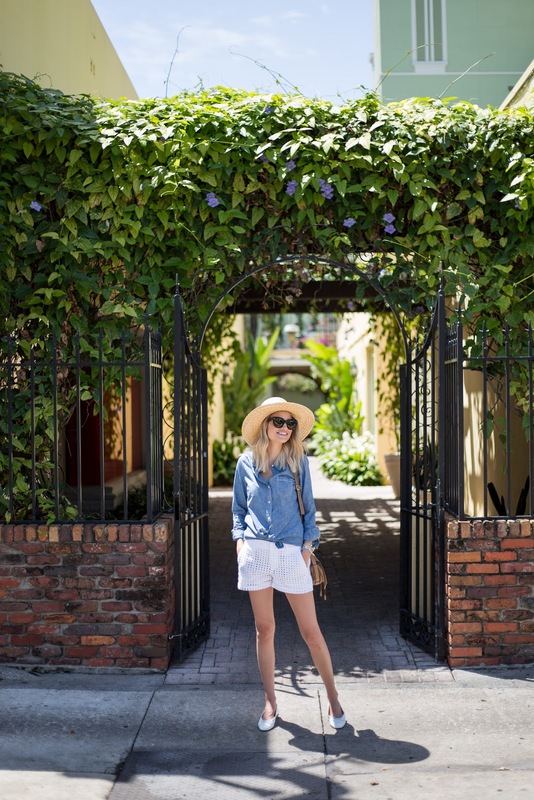 I partnered with Gap Factory to share how I styled their shorts to keep cool and cute. 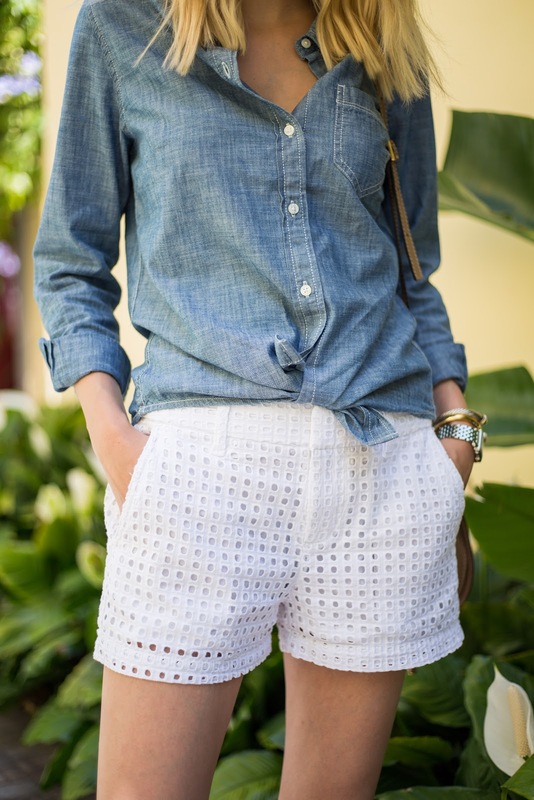 These eyelet shorts and lightweight boyfriend shirt are a perfect match, and I was obsessed with the outcome. Definitely one of those repeat outfits you know and love that will always come in handy! Style tip: keep one button undone and tie the two loose ends for an effortless, fun look.